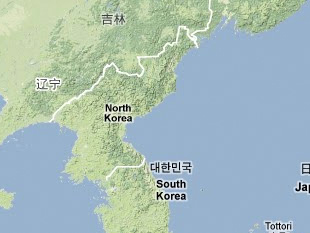 North Korea began construction of the Okp'yŏng-dong Missile Base in 1991. According to North Korean defector Im Yŏng Sŏn, US military bases in Japan and Guam are within the range of the missiles at the Okp'yŏng-dong Missile Base. South Korean military officials and some analysts suspect this base is an underground Nodong missile facility. "'Pukhan, Yŏngbyŏn'sŏ Chiha Haekshilhŏm'/Changgŏri Missile Kiji Sugot Kŏnsŏl," Taehan Maeil, 25 August 1993, p. 22, in KINDS, www.kinds.or.kr. Kim Hong Jin, "Guam-Il Tŭng Migun'gong'gyŏk Missile Kiji/Puk, 2 Kot Wan'gong 2 Kot Kŏnsŏlchung," Chosun Ilbo, 25 August 1993, www.chosun.com. Kwŏn Sun Hwal, "Tokyo Shinmun, 'Puk Missile Kiji Kŭkpi Hwakch'ung'," Donga Ilbo, 8 September 1998, www.donga.com.